Fluida is a modern, crystal clear and squeaky clean theme. It shines bright with a fluid and responsive layout. 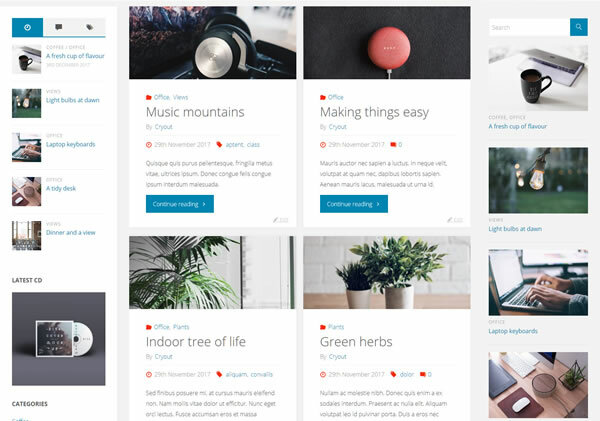 Fluida is a modern, crystal clear and squeaky clean WordPress theme. It shines bright with a fluid and responsive layout and carries under its hood a light and powerful framework. All the theme's graphics are created using HTML5, CSS3 and icon fonts so it loads extremely fast, and microformats and microdata have been implemented for great on-page SEO results. Fluida is designed in such a way that you can make it your own without changing a single line of code. Over a hundred customizer options give you the ability to change everything in the theme, from layouts to typography, from text and background colors to social icons and featured images. First impressions are very important. 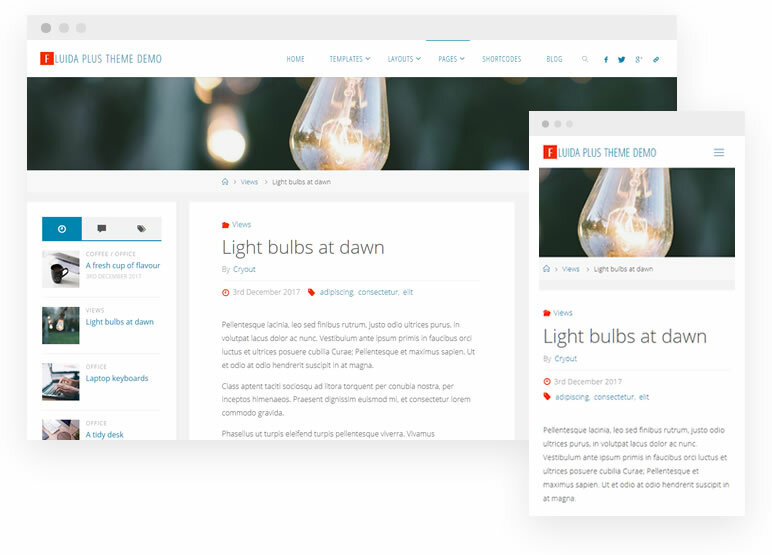 And for a lasting first impression, Fluida features a landing page with all the bells and whistles a WordPress theme could ever hope for. Complete with a slider, icon blocks and featured boxes, text areas and recent posts it’s a great platform to showcase your latest works and get your message through to your users. Just as its name implies, Fluida is a fluid theme. It can fill up your whole screen or it can restrain itself to a specific width set by you from the customizer. On mobiles, Fluida rearranges itself and fills any container, giving your users a seamless browsing experience. Are you curious about what current Fluida users have to say about it? "In one word, Fluida is simply "AWESOME"! I finally found all that I wanted in a WordPress Theme. Thank you, CryoutCreations!" "The design is classy and up to date. The site is fast, absolutely responsive, and complete. I had no compatibility issues with any plugin. I recommend it!" 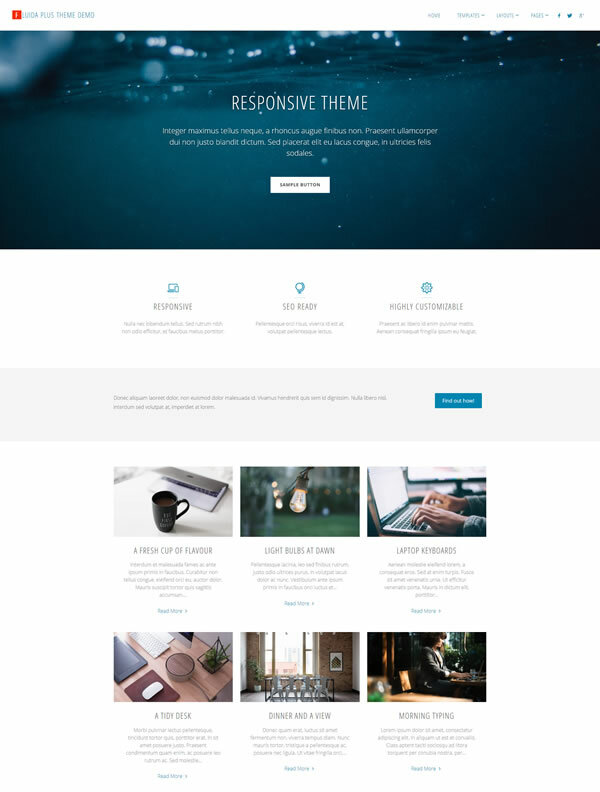 "Excellent theme with plenty of customizable features. Support is fabulous, fast, and doesn’t balk at weird requests and stupid questions!" Jumpstart your site with preset schemes with the broadest color ranges. 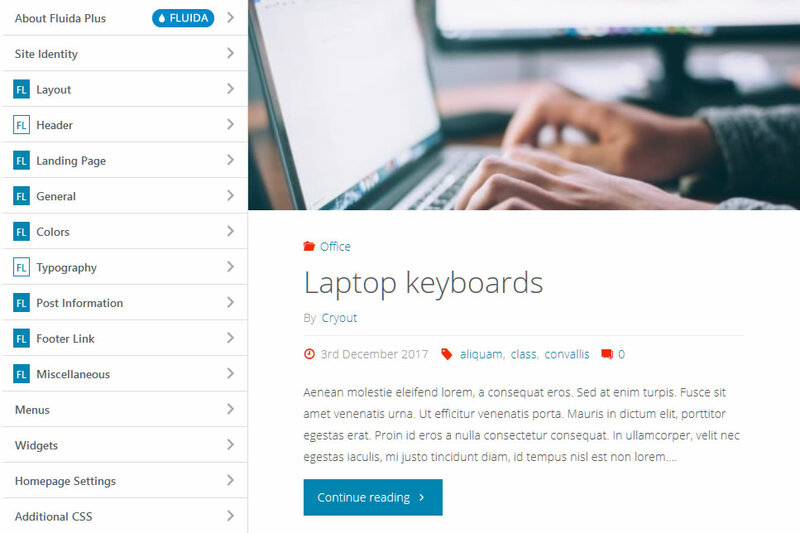 Create unique looking pages with the help of the theme's many custom page templates.